The 2015 yearbook by HOERBIGER Holding AG focuses on communicating the performance claim that binds all people working at the company. Furthermore, it also aims at promoting the company that sets standards with technologically challenging key components and services. At various points, the yearbook introduces employees from the different corporate divisions as well as representatives of the corporate management team. On four-page inserts, they present their developments, describe the essence of their work and talk about their drive and motivation. 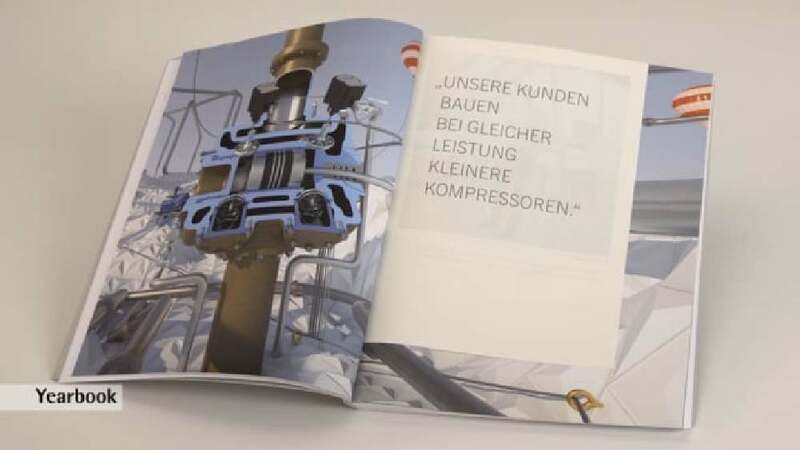 The introductory pages of the inserts, which are kept in a warm red tone, form the bridge with their clear statements from the text level of the yearbook to the people shaping the company. The typographic look has been fundamentally revised and renewed. Considerably stronger emphasis has been placed on the use of the corporate colour red, which stands for the people. The HOERBIGER yearbook fascinates with an unobtrusive, yet distinctive cover design, as well as with a clear and consistently implemented page layout on the inside. The concept of shorter ­insert pages is particularly convincing, as they liven up the layout to appealing effect. The overall impression is rounded off by the use of beautiful and subtly refined paper.